Over the last three years the Saltscape Education Programme has worked with local primary schools to explore the history of the salt industry in the Weaver Valley and the impact it has had on the area’s landscape and wildlife. 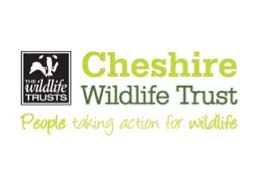 Experts from Cheshire Wildlife Trusts and the Lion Salt Works Museum lead a 3-day activity programme of free workshops and field trips exploring wild spaces and rare historic sites. Through an exciting range of hands-on sessions including; object handling, outdoor learning, science experiments and exploring evidence children have been encouraged to look at their local landscape as a connected whole. It has enabled children to discover the science behind their unique local landscape, the links between past and present and the unusual wildlife and habitats the Weaver Valley supports. Read more about the Education Programme. A day of interactive workshops delivered in school by learning teams from Cheshire Wildlife Trust and Lion Salt Works. Spilt into two halves students explored salt science throughout history with photos and objects from museum collections and explored the living salt landscapes in the wild spaces close to school. Joining Cheshire Wildlife Trust for a full day field trip to Anderton and Marbury Nature Park in the heart of the Saltscape. Exploring grasslands, woodland and ponds using specialist collecting techniques and equipment. Children got to discover why the wildlife in this part of Cheshire is so unique and how it survives a life in salt! A full day of hands-on learning at the Lion Salt Works, a unique grade I listed historic site! Using the original building, artefacts, documents and science experiments students explored the Weaver Valley’s salty past and learnt why the towns were so important to the rest of the UK.